Panasonic India expects its revenues from mobile phones to more than double to Rs 2,500 crore by the end of this fiscal as the company expands its product portfolio and distribution chain in the country. The Japanese company , whose revenues from mobile phones stood at Rs 1,200 crore last year, plans to launch about 25 smartphones this year. “India is an important market and we are seeing strong growth here. This fiscal, we expect to garner Rs 2,500 crore in revenues. We will do this by launching devices across price points, expanding distribution in tier II and III cities and through strong marketing campaigns,” Panasonic India Business Head (Mobility Division) Pankaj Rana told . He added that this year, the company plans to spend about Rs 200 crore on marketing campaigns. “We will bring about 25 smartphones and 15-20 of these will be before Diwali. This will be across various price points — Rs 3,500 to Rs 20,000. Next month, we will launch our most affordable smartphone for Rs 3,500,” he said. Panasonic will focus on Rs 10,000-15,000 devices to fuel its growth in the country and will bring out 7-8 products in the said price range. The company, which has assembly facility in Noida, meets about 95% of its sales requirements in India from the plant, Rana said. He added that Panasonic is gradually scaling up the capacity to about 8 lakh units a month. The company is increasing the assembly lines as well as the packaging lines to support its growth. 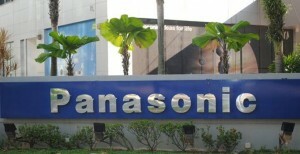 Rana said Panasonic expects to sell around 3 million units this fiscal, up from 1.2 million last year. “While online comprises about 10 per cent of our sales, we are focussing on growing our retail presence as well. We have 250 exclusive showrooms that showcase our phones, we want to take this number to 350,” he added.